In this digital age, your website is usually the first impression that potential customers get of your business. 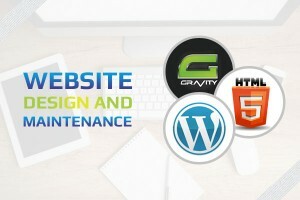 We design and build quality, responsive websites designed to meet the business needs of our clients. Grobyo specializes in WordPress websites with quality themes from reputable developers. Each project is different but can include content creation, Search Engine Optimization, Logo and or Graphic design, all operating inside Google best practices so you can make a great first impression. Grobyo also provides maintenance contracts at competitive pricing which can can include website updates and regular code updates to keep the site secure. All of this working in the background with minimum disruption to daily operation CRM Integration A website does not maintain itself, even with auto updates the back end still needs to be reviewed on a regular basis Website content, backend and frontend should be updated on a regular basis, change is good! Regular code updates to keep the site secure. Website content, backend and frontend should be updated on a regular basis, change is good! You can view a website on multiple devices. Responsive design involves adjusting the website code so that you deliver a clean, efficient, usable website to the viewer irrelevant of the device they are using to view the website. The site will not look identical on all devices but it will render correctly to the viewer. Recent google Algorithm updates now check for mobile website quality and if the website is not mobile friendly, it will not show up on mobile search results. A website will need regular ongoing maintenance to upgrade visible content, install code updates, modify details as the company grows and search ranking robots (Google bots for example) view change as a good, so all other things been equal a website which has some changes made on a regular basis is likely to to rank higher on relevant search results that one which has no changes made. SEO is an advertising & marketing function designed to help your website rank higher on Google (and others) search results for relevant searches. Its can be an involved project and can take sometime to see results. SEO results are measured in trends over time rather than in immediate results. It should also be noted that it is not a set it and forget operation, a well designed and executed SEO project will involve regular website changes every 45-60 days based on results of ongoing project reporting. Provides a wealth of information about your website visitors, advertising, relevant keywords etc. This information over time can then be used to make better business decisions with regard to revising website content, online advertising etc with the aim of improving relevancy and visitor satisfaction and overall improving business profile online. Search engine robots (Google as a the major factor here) like to see content changing on a regular basis. Assuming this content is relevant content and all things been equal the content change will help to improve your SEO ranking. Grobyo can integrate and manage your business social media accounts (FaceBook, Yelp, LinkedIn) so that when you publish a post you are always on message and you are getting maximum coverage from that post. Grobyo specializes in WordPress websites with quality themes designed to showcase your business and provide you with the most cost efficient investment in your online presence. An Important part of any SEO or Website update project is a comprehensive keyword search to narrow down the base set of Keywords and phrases that we should be using for any content and code changes. A Keyword search project will involve the use of Keyword software as well as a comprehensive review of the Company, Industry and competitors to determine the optimum course of action. With new websites or website updates Grobyo can draft the initial content for you pages and based on your feedback form your stakeholders and our keyword research, we can refine the content to a production quality level that will satisfy all parties. Grobyo can design and build a specific lead generation campaign for your business using stand along websites and social media accounts targeting multiple online mediums. We can also include analytic’s and conversion tracking to allow us to determine project performance v targets and adjust from there. If you have a website design or upgrade project in the planning stages that you would like to discuss, please contact us and we will be more than happy to assist. If you would like to discuss a website or online marketing project, please complete the form the below to contact us and we will respond promptly. Copyright © 2019 —Grobyo.com | Online Advertising Agency | San Jose • All rights reserved.